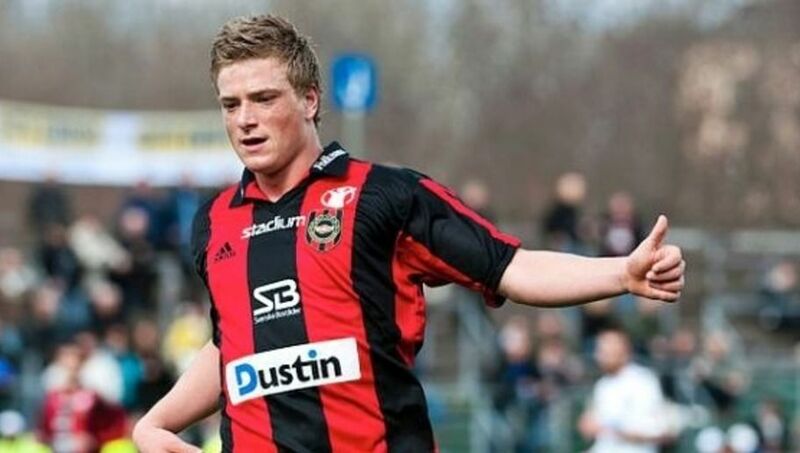 Whatever happened to Manchester City’s John Guidetti? Last year, I wrote an article explaining why I thought Manchester City need not look for another new striker, given the impressive young talent that was already on their books. His name was John Guidetti, and at the age of just 20 he had recently completed a dazzling season with Dutch giants Feyenoord, in which he notched up 20 goals in 23 appearances. It was the kind of form that saw him launched into the limelight, with Sweden manager lars Lagerback selecting the youngster for a friendly in the run up to Euro 2012. His performances even prompted Feyenoord manager and Barcelona legend Ronald Koeman to suggest that Guidetti could be “as good as Ibrahimovic in the future”. And while expectations of the youngster getting into the Manchester City starting eleven were slim, he was expected to make some kind of contribution, whether it be in the FA or League Cup. However, the youngster has instead endured a frustrating time back in Manchester after being struck down with a virus towards the end of his time in Holland. The severity of the disorder saw Guidetti diagnosed with an infected nerve, which caused him to lose feeling in his right leg and left some questioning whether his career was already over. Yet fans in attendance at the recent 3-0 victory over Stoke City in the Premier League were treated to a joyous sight, with the 20-year-old enjoying the full and vigorous pre-match warm-up with the squad. But speaking to the Manchester Evening News, assistant manager David Platt was keen to emphasise that Guidetti’s return would take time. “For about two or three months he couldn’t do anything and it takes a long time to get that back. Plus it was strange, I can’t even call it an injury. It was a virus,” he said. Despite this, the Manchester City coach refused to rule out a return before the end of the season, meaning he could yet have some say in the title challenge. Premier League fans will no doubt recall the impact an unknown Federico Macheda had on Manchester United’s title win a few years back – could Guidetti do the same?